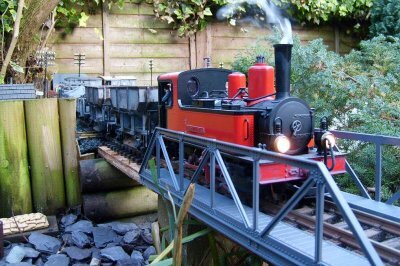 The G Scale Society was founded in 1987 and now has over 1400 members in the UK and overseas. It caters for all modellers working in G Scale and has a liberal approach, believing that enjoyment is just as important as rivet-counting, but with no bias in either direction. Explore this site to see what we have to offer. If you like what you see then why not join us? 4 quality journals delivered to your door every year. Membership of 1 or more of 22 informal Area Groups which exist so that members can share their modelling experiences and run their stock on other members’ lines. Many area groups also have winter indoor meetings. 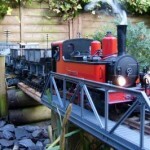 An annual programme of garden railway visits in your area. Members’ rate admission to our annual convention and general meeting, which is held at a central UK location and features working layouts, trade stands, and slide or video shows. A membership card and enamelled badge. A G Scale Society pictorial calendar with photos of members’ railways. Benefit from the Society’s public liability insurance cover for garden railway visits provided that the events have been notified to the Society.